Once you realize that the road is the goal, and that you are always on the road, not to reach a goal, but to enjoy its beauty and its wisdom, life ceases to be a task and becomes natural and simple. So when the shoe fits the foot is forgotten when the belt fits the belly is forgotten when the heart is right 'for' and 'against' are forgotten. There is one Link, one Life eternal, which unites everything in the universe, - animate and inanimate, - one wave of Life flowing through everything. Whenever you notice that some form of negativity has arisen within you, look on it not as a failure, but as a helpful signal that is telling you: 'Wake up. Get out of your mind. Be present.'" Tell me, what is it you plan to do with this one precious life? 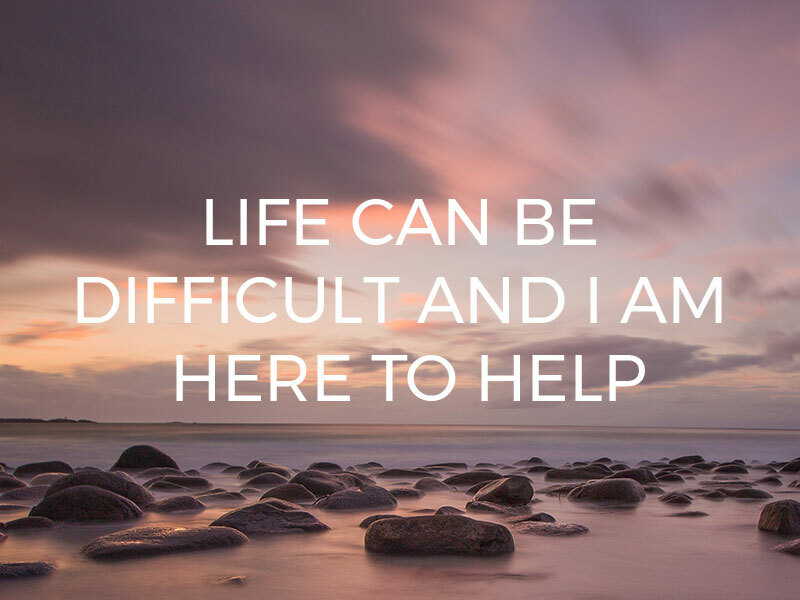 Life can be difficult and I am here to help. Is anxiety inhibiting your life? I can facilitate you in reducing these symptoms so that you can feel more at ease and relaxed. Grief can include confusing and conflicting emotions. I can guide you in attending to these feelings effectively as you recover from loss. Feeling depressed? Perhaps more so or again? I can help you attend to these symptoms skillfully and feel more joy and aliveness in your life. What does spirituality mean for you? I’m available to guide an exploration of how you experience yourself, the world and others. Feeling stuck or stagnant in relationship? I’m here to facilitate your partnership in developing and finding more flow, ease and options. Change of various types can bring about upheaval and uncertainty. I’m here to aid you in transitioning from one phase to another.